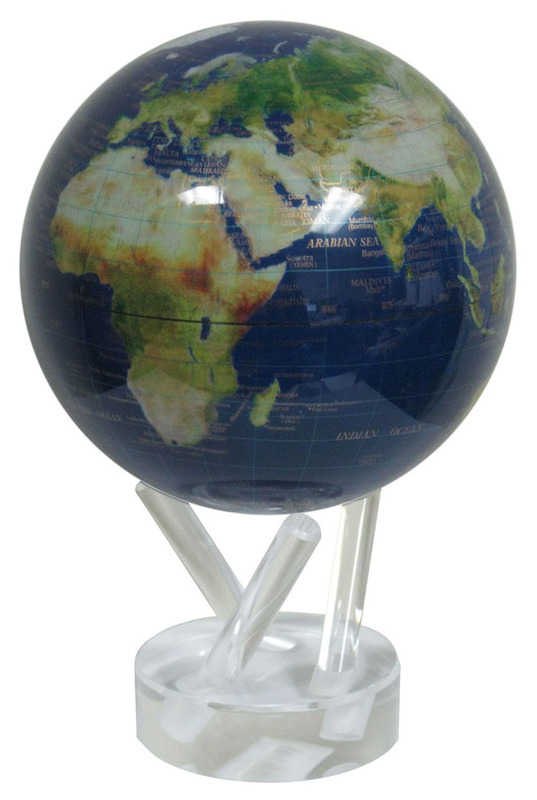 An eye-catching desk topper, this globe is more than a shiny representation of our planet. 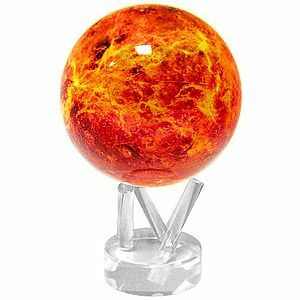 The inner globe floats in an almost friction free environment, much like the earth itself. 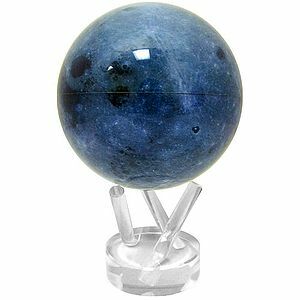 Since the inner MOVA globe is floating and not touching the outer shell, something is needed to reach into the globe, and give the drive mechanism something solid to push against. This creates and maintains motion. The earth’s magnetic field pushes against the drive mechanism much as it pushes against a compass to move it toward alignment. The graphic on the inner globe is about 1/4 inch below the outer surface of the outer shell, but the optical qualities of the fluid and the outer shell magnify the inner globe and cause its surface to appear to be on the outside of the outer shell. 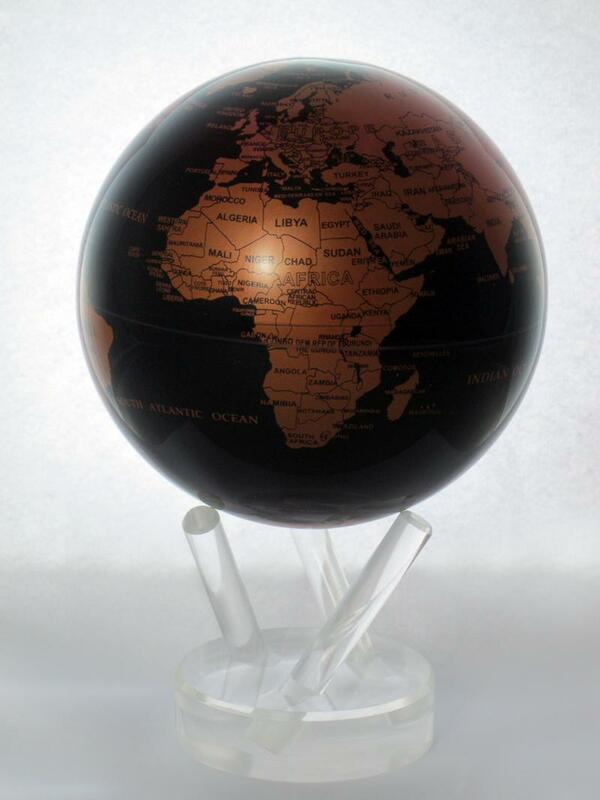 Designed for indoor use, the globe works best when powered by incandescent light or indirect sunlight. Fluorescent light works too, but needs to be quite intense for best results.